The schedule for ODSKC 2013 can be found on the schedule page. Pairs and Team events will be run as Combined events (this is subject to change). Combined events use the same precision figures and judging staff, but trophies and AKA/EL score reporting will occur according to class. Check the schedule page for the detailed schedule of events for Saturday and Sunday. 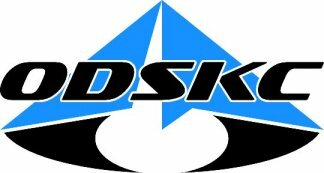 ODSKC will be run under the rules and guidelines in the International Sport Kite (ISK) Competition Rules version 2.4, ISK Judges' Book version 2.2, ISK Compulsories Book version 2.2.1, and the AKA Appendix version 2.7. The Chief Judge for ODSKC 2013 is Will Smoot. 1. Individual competitors will have 3 minutes for setup time. 2. Competitors will fly a routine that contains the three compulsory figures listed for their discipline below. This routine will not be flown to music, and will be between 1 - 4 minutes. 3. The competitor will begin the routine by calling "IN", at which point the clock will start. The competitor will call "OUT" at the end of the routine. 4. The 3 figures must be flown in the order listed below. When starting each figure, the competitor will call "IN", and call "OUT" when the figure is completed. There is no minimum or maximum transition time between figures, but all 3 figures must be completed as part of a comprehensive, choreographed routine within the minimum and maximum time. 5. If a competitor wants to start his/her routine with the first figure, they can, as long as the judges are notified beforehand. The competitor may also fly a figure reversed, so long as the judges are notified beforehand. From the competitor's and the field director's perspective, the competition will be conducted much in the same way as ballet. The field director will have the precision figures on hand for reference. Keep in mind that this will be an experimental format. Since we're still scoring 3 figures and a technical routine, we will be using the standard precision scoresheets to score the routine. For detailed information on the below figures, download the ISK Compulsories Book version 2.2.1. The listings here are also linked to the excellent figure animations on the Reed Designs web site.